Travel with a purpose gives you a jolt, and stimulates and expands the mind and the imagination. Setting off on a trip with a focus to study architecture and design always digs up new ideas and rich histories. Voyaging with an itinerary of new art or architecture or antique exhibits, emerging New York neighborhoods, restored castles, rediscovered architectural gems, writers’ residences, centuries-old wineries, or former royal palaces offers a vivid experience and connection with the ‘out-of-the-ordinary’. 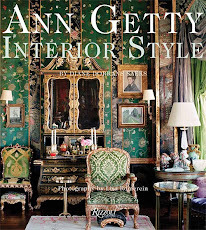 As you well know from my last year of blog features, I love to travel to see Indian palaces, French chateaus, artists’ studios, Paris pavilions, Antwerp gardens, and Venetian palazzi. 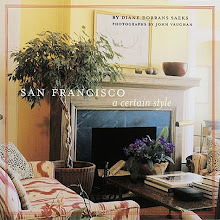 For those like me who are passionate about design and style and architecture, viewing great buildings and wandering through historic interiors gives a deep sense of discovery. Immersing in ancient culture or edgy art and experimental new buildings jams a tingling sensation into the brain, and throws electrical jolts to the retina. I love to stimulate the dendrites of my brain. Bzzzzzz. That’s why I travel. Sometimes our travel is vicarious. 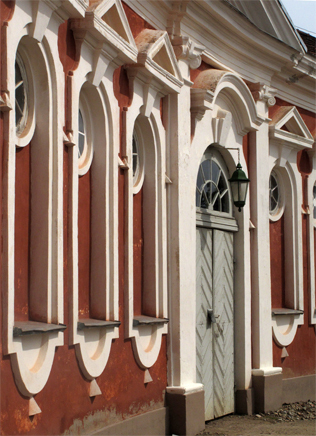 This week we’re visiting Rundale Palace in Latvia, newly restored to former glory. I can’t wait to go there. 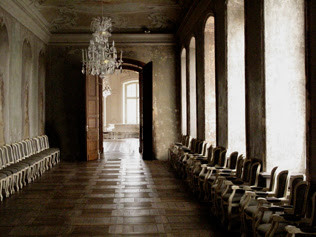 This summer, New York-based photographer Christopher Flach discovered this world-heritage Latvian palace, Rundale. 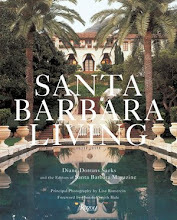 I had been aware of this baroque treasure, and knew it was undergoing major restoration. Chris was there just at the right moment. Rundale, built between 1736 and 1740, is important because it paints a vivid portrait of the period from 1730 to around 1812. 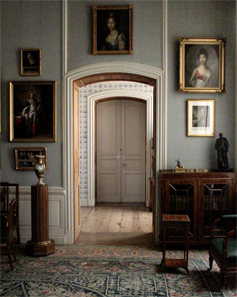 Rundale graphically embodies the world of an international coterie of eighteenth-century architects and craftsmen who traveled from one job-site to the next in Europe. 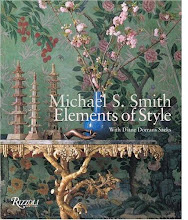 These talents worked on palaces and museums for the Russian and Swedish and Latvian kings and czars and queens and empresses and nobles in the late eighteenth century. 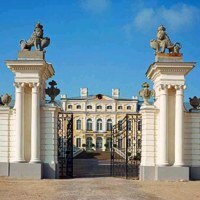 Rundale Palace is one of the most outstanding monuments of Baroque and Rococo art in the Baltic region. 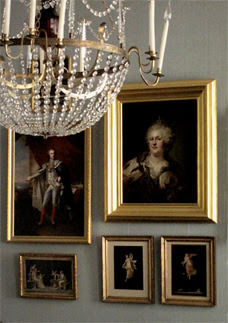 Like many other grand palaces around the Baltic Sea, in Stockholm for example, Rundale was influenced by the fashion for French and Italian high design, and especially the ultra-baroque of Louis XIV and Louis XV, the height of expressions of regal architecture of the time. Rundale, despite years of Russian occupation and fires and neglect, is a beautiful phoenix. The palace has undergone decades (perhaps centuries) of repair and rebuilding and restoration, and now it’s ready to excite and thrill architects and designers alike. A visitor arrives 'sight unseen'. Like an explorer, he or she can experience the thrill of ‘beginner’s mind’, seeing things for the first time. Come with me for a light-filled visit. Enjoy Christopher Flach’s glorious images. And connect the design, art and architecture history dots. 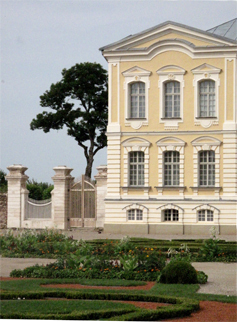 The palace was inspired by Versailles, the splendors of eighteenth-century St. Petersburg, palaces of Sweden. Latvia built on a much smaller budget and Rundale’s artists and architects and craftspeople were country folk. Still, it is glorious. 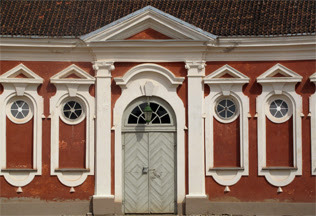 We don’t usually think of Latvia as a major architecture travel destination, but the historic convergences in Rundale Palace (as well as Art Déco architecture in Riga) make this a must-go to add to your travel plans next summer. Rundāle Palace (Latvian, Rundāles pils) is one of the two major baroque palaces built in the 18th century for the Dukes of Courland in what is now Latvia. It is situated at Pilsrundāle, an hour’s drive from the capital, Riga. It was constructed in the 1730s--1760s to a design by Bartolomeo Rastrelli as a summer residence of Ernst Johann von Biron, the Duke of Courland. Following Biron's fall from grace, the palace stood empty until the 1760s, when Rastrelli returned to complete its interior decoration. Rastrelli is famous for the grand staircase, called the Rastrelli Staircase, in the Hermitage museum in St. Petersburg. I’ll be your tour guide as we wander through fascinating Latvian history. 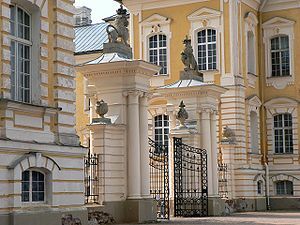 After Courland was absorbed by the Russian Empire in 1795, Catherine the Great presented the palace to her lover, Prince Zubov, who spent his declining years there. His young widow, Thekla Walentinowicz, a local landowner's daughter, remarried Count Shuvalov, thus bringing the palace to the Shuvalov family. It remained in the family until the German occupation in World War I when the German army established a hospital and a commandant's office there. The palace suffered serious damage in 1919 during the Latvian War of Independence. In 1920, parts of the premises were occupied by the local school. In 1933, Rundāle Palace was taken over by the State History Museum of Latvia. It was dealt a serious blow after the World War II, when a grain storehouse was set up in the premises and later; the former duke's dining room was transformed into the school's gymnasium. 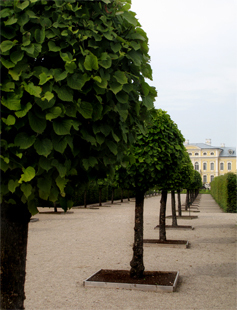 Only in 1972 did the palace gain respect once more, as the permanent Rundāle Palace Museum was established. 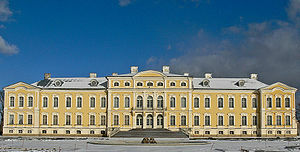 The palace is one of the major tourist destinations in Latvia. It is also used for the accommodation of notable guests, such as leaders of foreign nations. The palace’s central building includes the Duke's former living quarters. 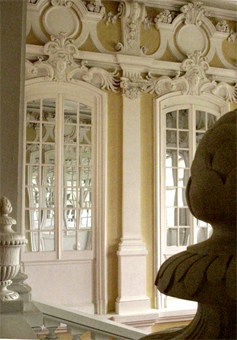 The Duchess' apartments are situated in the western wing of the Palace. The parade rooms are situated in the eastern wing of the Palace- the Gold Hall (Throne room), the White Hall (Ball room), the Grand Gallery (Banqueting room) and five small rooms, where the collection of Chinese and Japanese porcelain is displayed. The state staircase is of great significance as it is the only interior that has survived completely intact from the earliest period of Francesco Bartolomeo Rastrelli’s activities. The stucco decorations of the ceiling and walls were originally executed by a team of eighteen craftsmen and were completed by 30 October 1739. Masks, capitals and other details were made by an unknown German sculptor according to Rastrelli’s design. 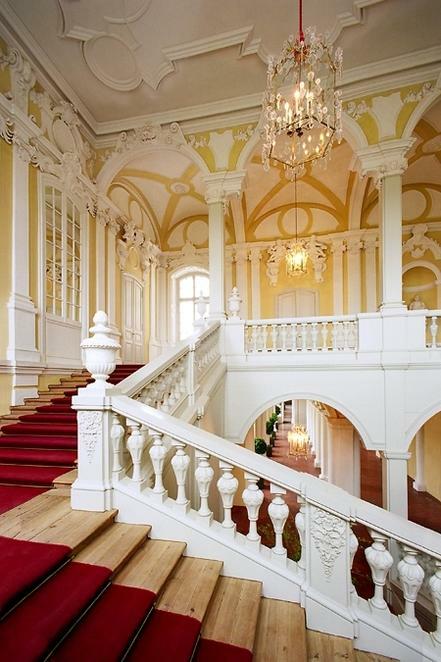 The stairs were executed by Russian carpenters, whereas woodcarvings were done by woodcarvers from St. Petersburg. 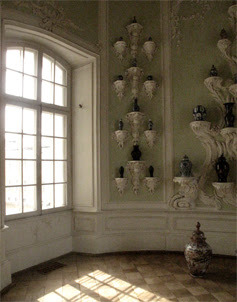 In 1768, in the second period of construction works, the stucco vases, made by Johann Michael Graff, were placed on pedestals of the stairs; however, only one unbroken vase and several fragments of others have survived. Plate glass windows were made during the restoration. Restoration of the stucco decorations was started in 1974 and completed in 1979. Restoration of the staircase was finished in 1981. The 18th century marble sculpture of Aesculapius, the God of Medicine, is placed in the niche. The antechamber served as a waiting room during court receptions held in the throne room. A copy of the original stove was made in the Scientific Restoration Workshop in Leningrad and installed in 1978. 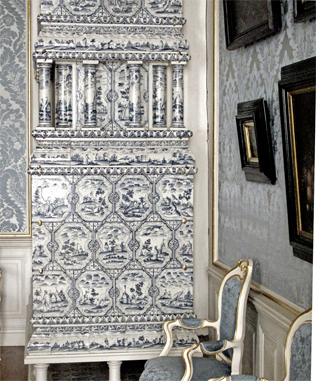 Brocatel wall coverings, made of silk and linen, were produced in Moscow according to the 18th century pattern. The secret door leads to the attic. Wall panels were made anew during the restoration according to the pattern of the original panels. The restoration of the room was finished in 1981. The Grand Gallery was made in the second stage of construction by transforming five smaller rooms into a thirty-meter-long banquet hall. The baroque ceiling painting depicts the God of the Sun, Apollo, and the Goddess of Dawn, Aurora. During the restoration, from 1971—1991, the original wall paintings were also found beneath layers of industrial paint. The wall painting depicts illusory niches with flower vases and figures of putti. Like many royal residences, Rundale suffered gruesome damage. The walls were overpainted during the repair of war damage in 1813 when they were covered by a grey coat of paint, and the upper part of the walls was decorated with painted friezes. The lower part of the wall was once covered with wooden panels. The parquet has been preserved from the 1760s. The room is adorned with two partially restored and reconstructed Courland glass chandeliers from the 18th century. 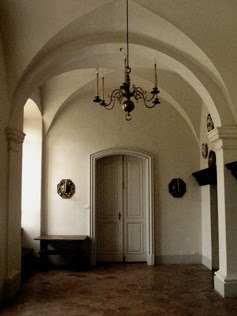 In the first construction period the stairs leading to the chapel were built in the oval room. When the idea of the church was abandoned, the stairs, intended for peasants so that they could attend a service in the chapel, were no longer needed. 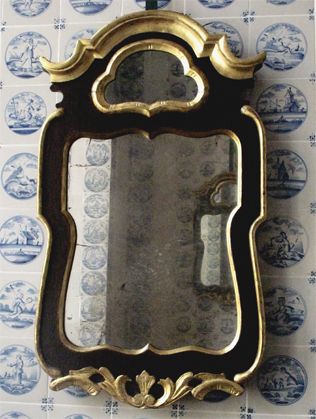 In place of the stairs, the Oval Porcelain Cabinet was made. 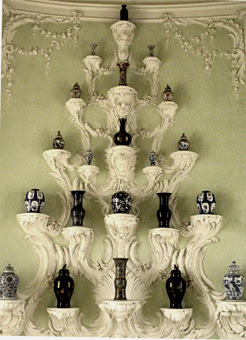 It features forty-five rocaille brackets supporting Chinese and Japanese porcelain vases. The restoration of the room was carried out by a team of restorers from Leningrad between 1978 and 1980. The Blue Salon: The room was used as a refreshment room during the court’s receptions when tables were laid in the Grand Gallery. The ceiling décor was executed by Johann Michael Graff’s team of craftsmen in the 1760s. 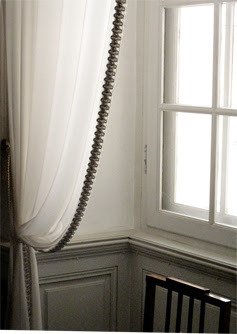 The blue silk damask wall hangings, wall panels and the stove have been made anew. 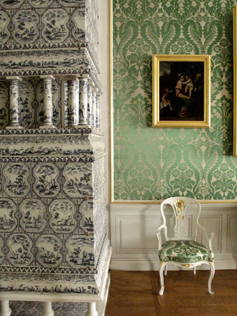 The room was arranged as a salon during the restoration and was finished in 1984. Work throughout the palace is on-going. 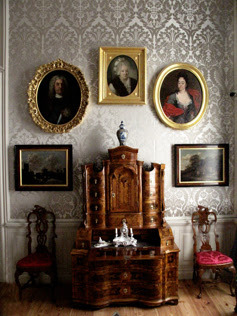 A guest room, with a collection of eighteenth-century portraits. 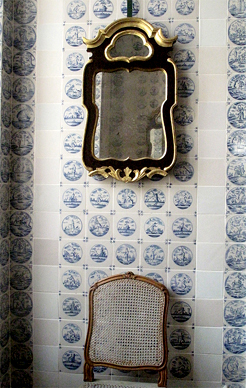 In a guest room of the palace, blue and white tiles (likely from Delft) adorn the walls. The mirror, which takes elements from several design traditions, is typical of the mid-eighteenth century in this region. I hope you might travel in the Baltic next summer, with a stop in Riga. From there, it’s just one hour’s drive to Rundale Palace. Restoration continues. 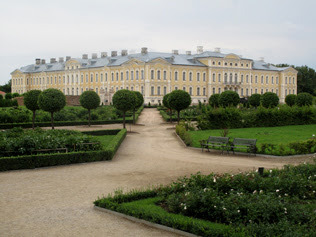 Or, head for St. Petersburg (you must, if you have not yet, go there) and add Latvia to your trip. Photography by Christopher Flach, exclusive to THE STYLE SALONISTE. 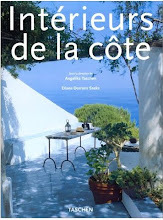 Note: find more travels with Christopher in the archive of THE STYLE SALONISTE. There Chris's elegant black and white images of Paris gardens and Paris scenes, along with a trip to a Swedish palace, Gunnebo. The palace is open every day, throughout the year. 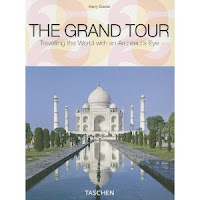 The best inspiration--and information--for those planning architecture and design excursions is the superbly illustrated guide book, The Grand Tour: Traveling the World with an Architect's Eye by Australian architect, Harry Seidler. Harry Seidler, Australia's ground-breaking modernist architect (I interviewed him when I was an editor for Vogue Living, in Sydney)--spent much of his life traveling to one great architecture capital after another (Tokyo, Paris, London, New York, Vienna, for starters). 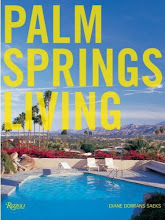 With his trusty Leica camera and Kodachrome film, he documented the world's great architecture and design treasures. Forty countries--starting with the pyramids in Egypt, Greek temples, houses in Kyoto, Italy's Palladian villas, modernist marvels in Finland, temples in Cambodia, mosques in Turkey and Persia, and palaces of Portugal and Brazil--and every important style and village and canal-side dwelling are here. 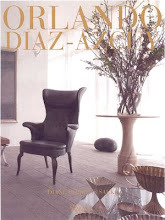 This is a must for any serious collector of architectural reference books--and inspiration for architectural travels. Travel well, travel safe, be inspired. And be sure to tune in next week. More surprises. 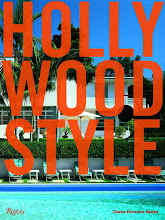 I have just bought the Harry Siedler book for my husband. He and Harry were friends in Sydney, Stefan had an apartment in Blues Point Tower which Harry furnished for him -long gone now ! Amazing and beautiful. Thank you for always introducing me to something fabulous. You are the best! Diane, another delightful description, this time of a place I have never visited but very high on my list (India and the Baltic region are a must). 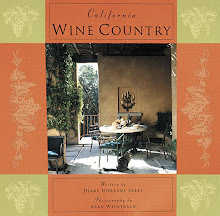 I am sure the book you suggested will be full of inspiration for my next trip. Thanks for the delicious saffron marshmallows...!! !I really enjoyed them...!!! Thank you for putting this on the map, (for me). Travel does indeed broaden the mind, and I do enjoy this sense of purpose. How lovely to hear from you, with your enthusiasm and taste for life and adventure and sense of exploration. Albarosa-so happy you enjoyed the marshmallow and I sending you now a pistachio and a pine needle one. Tricia-I know if I look at your photos--the creek, the bridge, the water...I could figure out exactly where it is.Would have through Bolinas, but no bridge there. 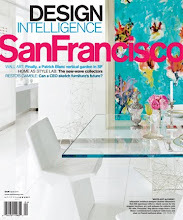 Or Larkspur? must be close...very happy to hear from you. No...where is it? Somewhere about 30 minutes from where I live. I used to know Mimi...and all the yarn ladies. Fascinating. Happy to hear about Harry Seidler. Gwen-loved your note, and adore your blog. Loved hearing from you all...and please come for a visit with me--and I will take you on a new adventure...lots more up my sleeve.. Kit--yes, tea! let's do it, at the same place. This is such a great question--is the palace 'out of place'? Well, think of it as Versailles...think of it as the Hermitage...a very rich show of power and wealth and beauty among the peasants. I also think of it this way: anyone who creates beauty out of chaos, and who hired artists and architects and designers and mirror-makers and weavers and chair-makers and upholsterers and painters to create beauty--is doing a wonderful thing. The history of the Baltic--and of France and Italy and most of Europe--was in its churches and monasteries and palaces, where all the beauty was concentrated. This grandeur inspired everyone and uplifted them (and perhaps lead to the French Revolution and other revolutions). It is fascinating--and thank you for bringing this up. Latvia: it was a relatively agrarian society, fishing, etc trade...not a grand or rich country. The palace is large...the duke thought big. I hope you will see it. Diane, I am always entranced by your posting. Your research, the divine places you visit. I would love to walk in your footsteps. Inspiration everywhere! It was wonderful to discover Rundale Palace in Latvia because I have studied architecture of the region--Stockholm, St Petersburg, Helsinki, northern Germany etc--and this palace is part of the 18th century history of the Baltic. It is astonishing to think of the artists, gilders, architects, furniture makers, floor crafters, glass makers, and all the talent that made these exquisite palaces--criss-crossing Europe for years, in coaches, lots of serfs, and the highest levels of craftsmanship in these remote places. I am so happy you are following along. 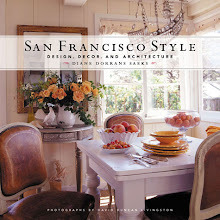 So happy you are visiting and finding my travel and design stories stimulating and original. I have some exciting features coming up, and hope you will travel along with me. I enjoyed this post and learning about Rundāle Palace. One of my favourite travel activities is visiting European churches and palaces, and this article made me feel like I was there. The cream and pastel colours remind me of the beautiful Russian and Scandinavian palaces. I am astounded at the level of craftsmanship and expertise in these restorations. Here in Toronto, recently we’ve had a great many east European immigrants, and happily they are bringing many of these old world skills here and the quality of workmanship in new luxury homes is much improved. You know it is very funny how such newly restored rooms quickly take on the patina of age with masses of tourists visiting. That is why conservation in historic buildings is so important. 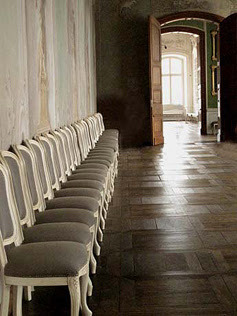 I was recently to Sans Souci at Potsdam outside of Berlin, and visitors must wear very thick felt slippers when walking upon the parquet floors. Not only do they avoid wear and tear, the wood quickly achieved the loveliest polish! I think I’m going to starting doing that at home too! 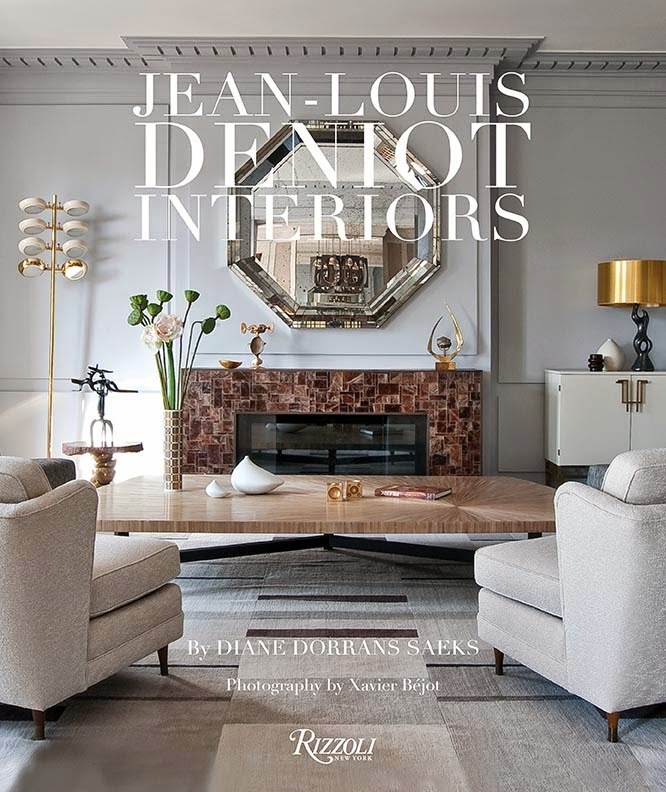 As for the interiors you’ve shown, I like the ceramic stoves, the French doors, painted furniture and boiseries, mirrors, the light colours, the overall freshness of the rooms. Of course the formal 18th century gardens are superb. For another take on this look see the incredible Chanel spring 2011 collection (on their website) in which Lagergfeld’s setting/ backdrop is a black and white vision of such a garden, as seen in the 1961 film, L'Année dernière à Marienbad. Now I’m going to look on a map and see exactly where Lativia is…. 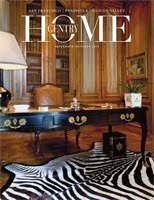 My dear, The Duke's library makes my heart sing! I do share your philosophy of travelling when you said "I love to travel to see Indian palaces, French chateaus, artists’ studios, Paris pavilions, Antwerp gardens, and Venetian palazzi". Oh... Ah... I love these castles, these mansions... ah... the gardens! These places take me away from reality. They take me to some time when everything was romantic and dreamy! 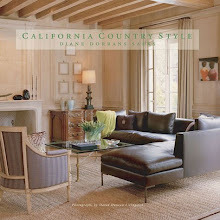 Thanks Diane, to let me travel, in my mind! Absolutely fantastic. Thanks so much for sharing this spectacular palace.